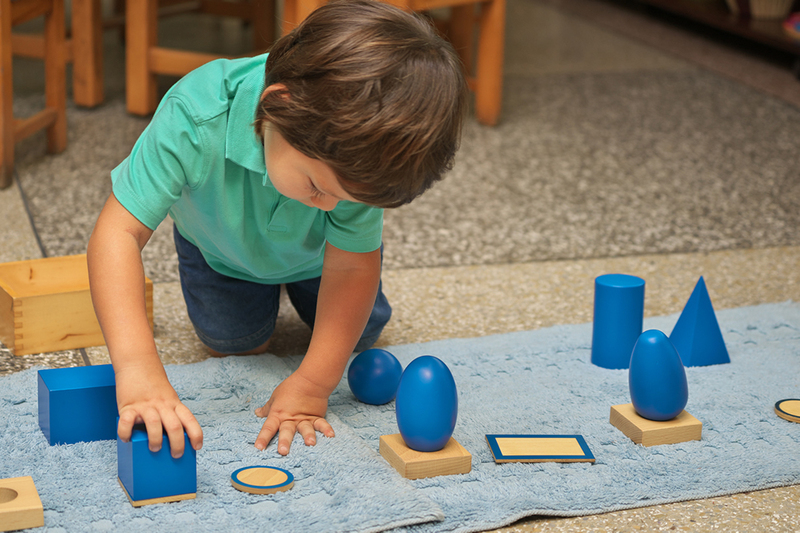 The purpose of the Sensorial activities is to help the child to sort out in an orderly manner the many varied impressions received every day. 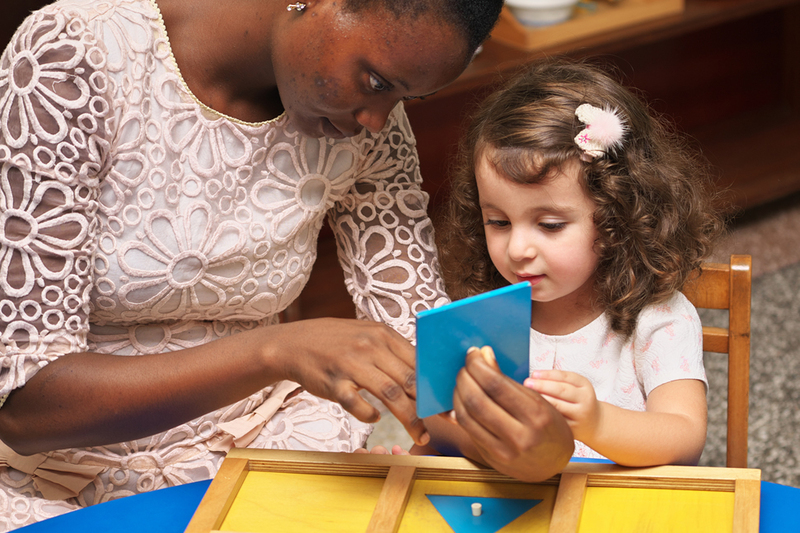 The specifically designed materials used in this area help the child to develop discrimination, order, and to broaden and refine all senses. 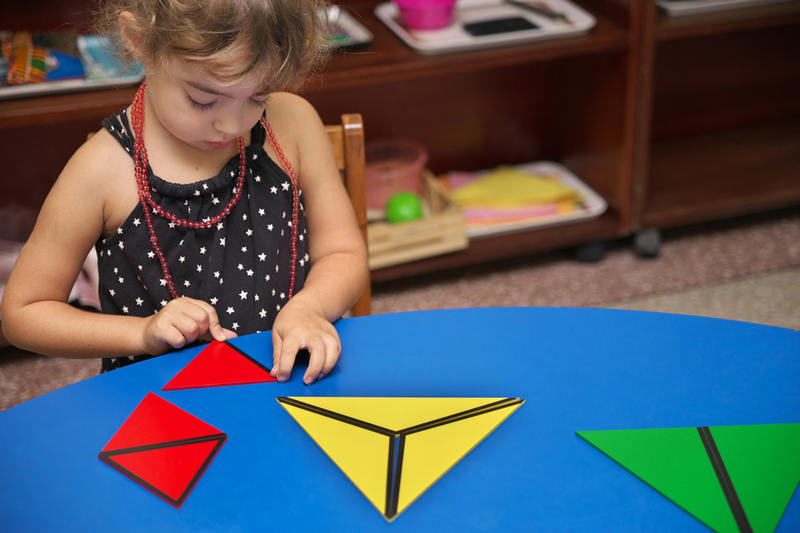 It is one of the most important areas as it allows the child to lose her self in a specific task, by manipulation the materials with her own hand, by consequence helping the child to develop the mental stamina and skill involved in concentrating over time. The blocks are made of wood and hold 10 cylinders varying in diameter and/or depth. 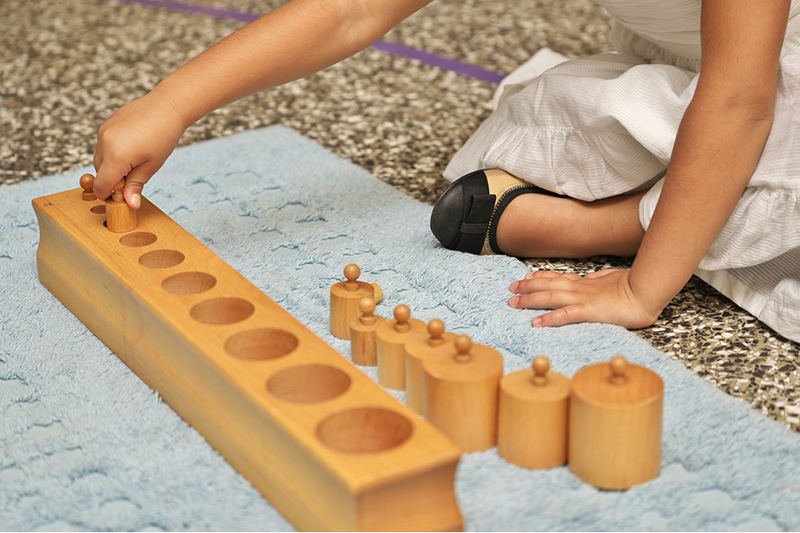 They’re used primarily to help a child’s visual discrimination of size, but the wooden knobs also help prepare a child for writing. The blocks come in a set of four. We start off with one block. We showed our child how to remove all the cylinders and place them on the table in front of him/her. We then ask the child to replace them one at a time. There are 10 cubes because 10 is the basis of our number systemb) The largest cube would hold 1 liter, the smallest 1 cubic centimeterc) Preparation for cube rootEight of the smallest make the second cube (23). Twenty-seven of the smallest make the third cube (33).Sixty-four of the smallest cube make the fourth cube (43),etc.One thousand of the smallest cube make the tenth cube (103). Geometric Solids – cube, ellipsoid, ovoid, two pyramids, one square based and one triangular based, cone, rectangular prism, triangular prism, cylinder and a set of bases for the solids. Objectives: To make the child familiar with, and to teach him the appropriate mathematical names for the various geometric solids.